Android Ice Cream Sandwich is the latest version of Android OS. Google Nexus, which is the latest addition to the Android Smartphone, is going to be launched with Ice Cream Sandwich. If you own an Android Smartphone which is running on Android 2.2 Froyo or higher, then you can get this keyboard for your device without root. After installing this app you can get ICS keyboard for your smartphone. Go to Settings -> Locale and Text and select Ice Cream Sandwich Keyboard. Please note that it is in Beta version so you may expect some bugs in it. 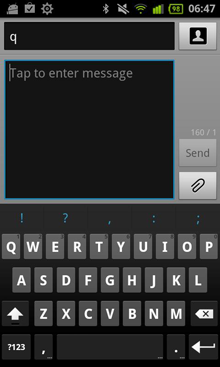 When I installed it on Galaxy Ace, some of the keyboard buttons were going out of the screen. I think it supports screen size same of Galaxy S2. I don’t think there is much difference between ice cream sandwich keyboard and normal android keyboard. Is there much difference?